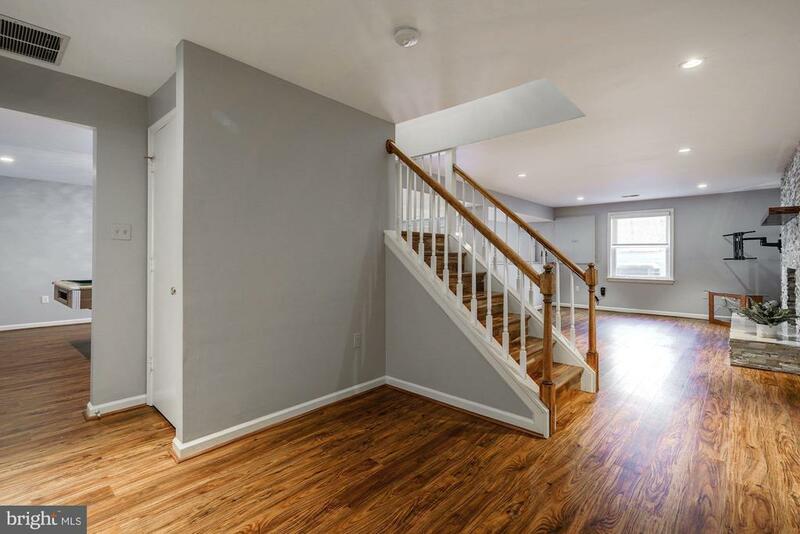 All of this and a brand new roof, too! 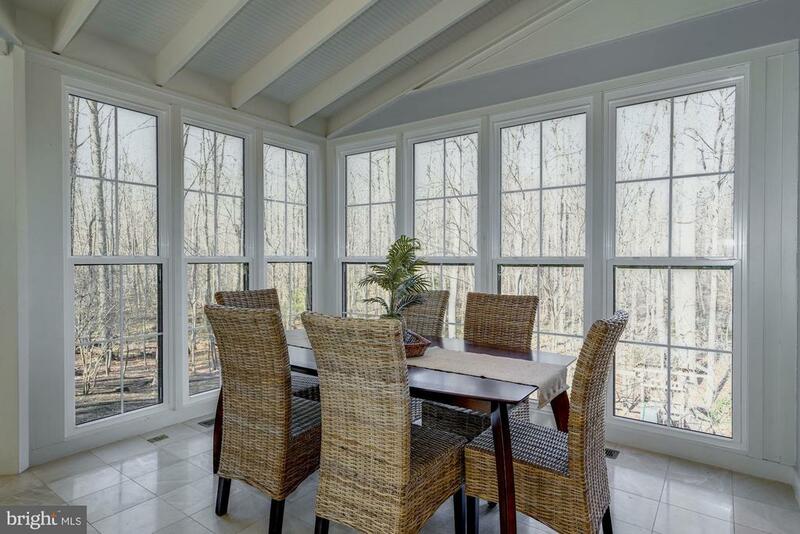 No wonder so many rooms offer sensational views! 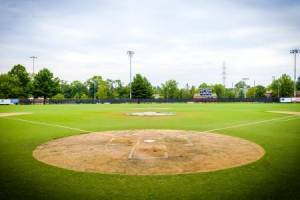 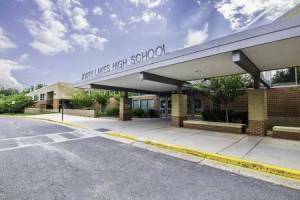 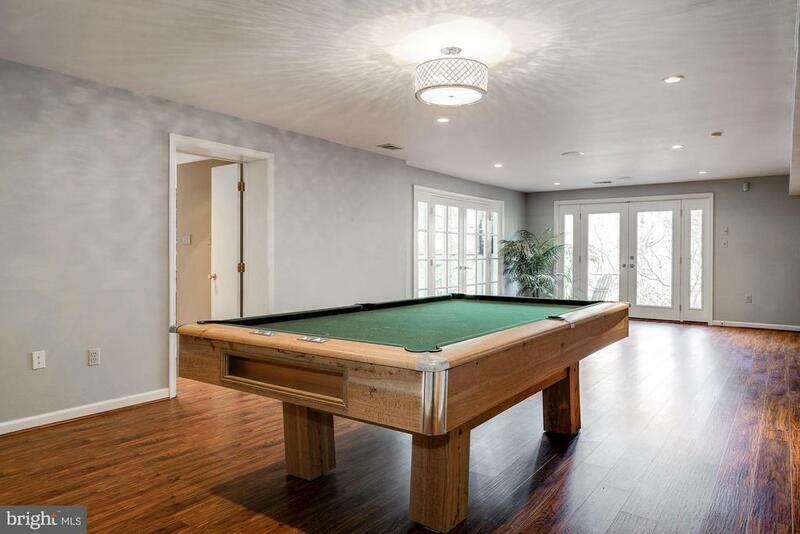 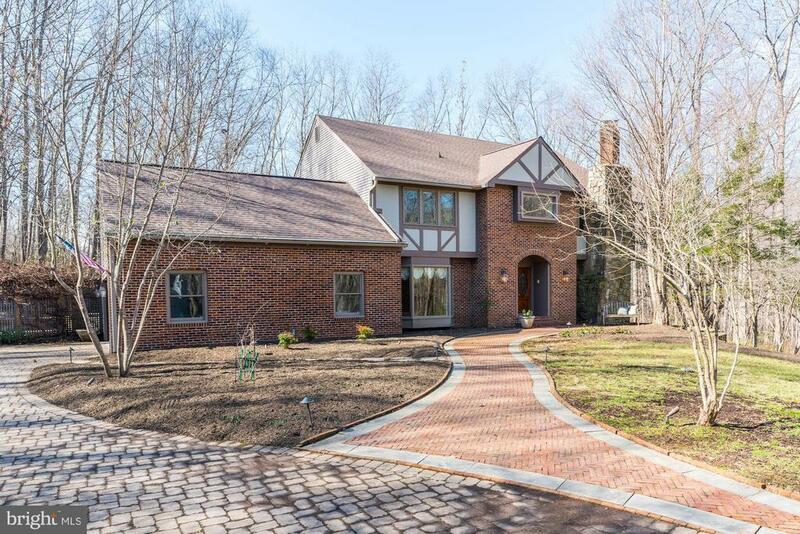 Incredible custom expansion & renovation! 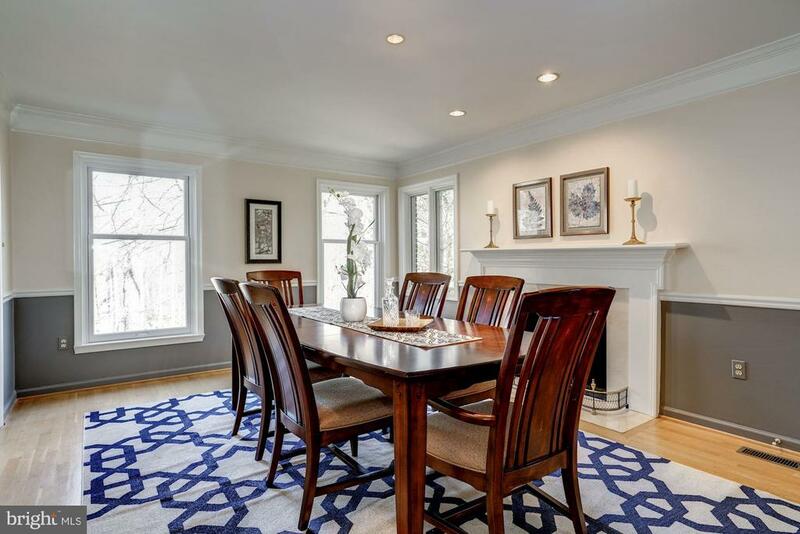 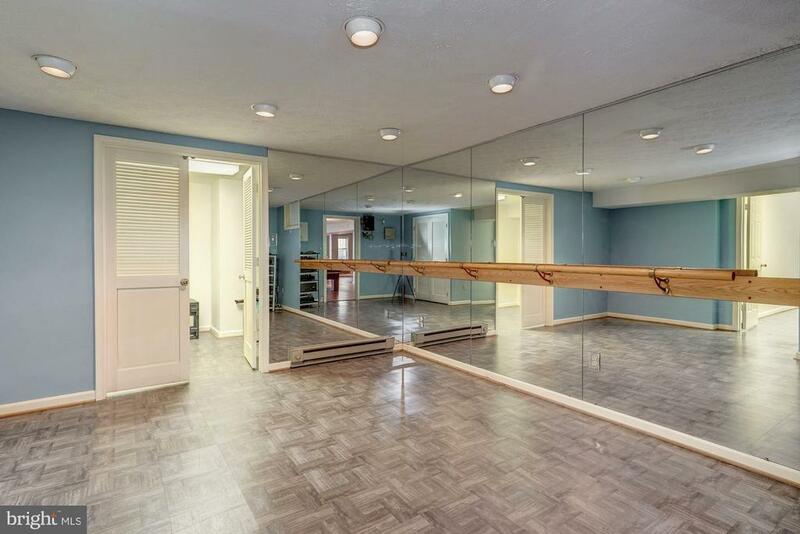 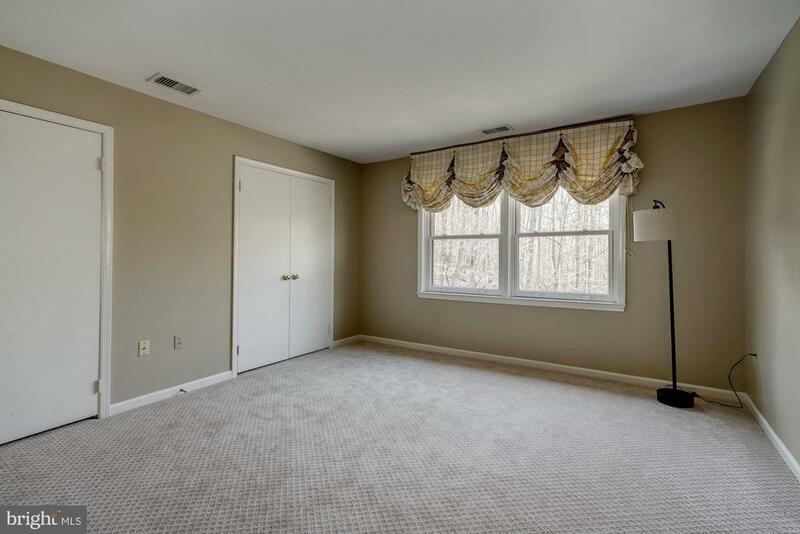 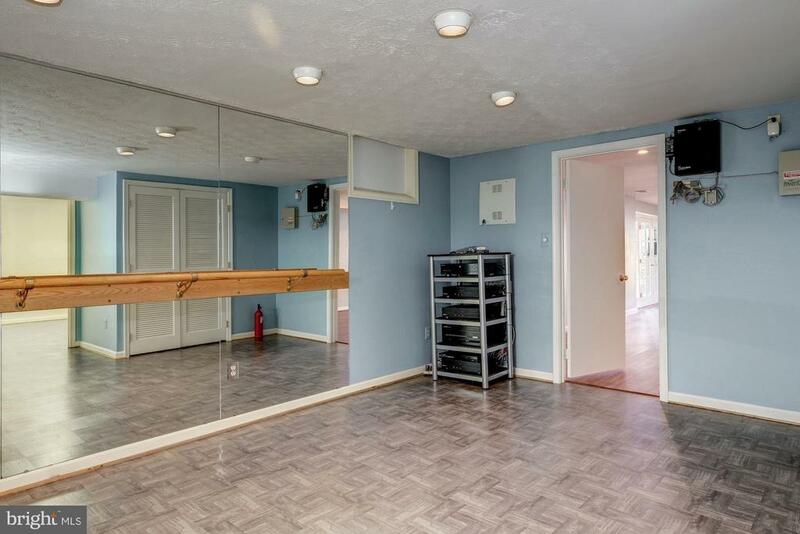 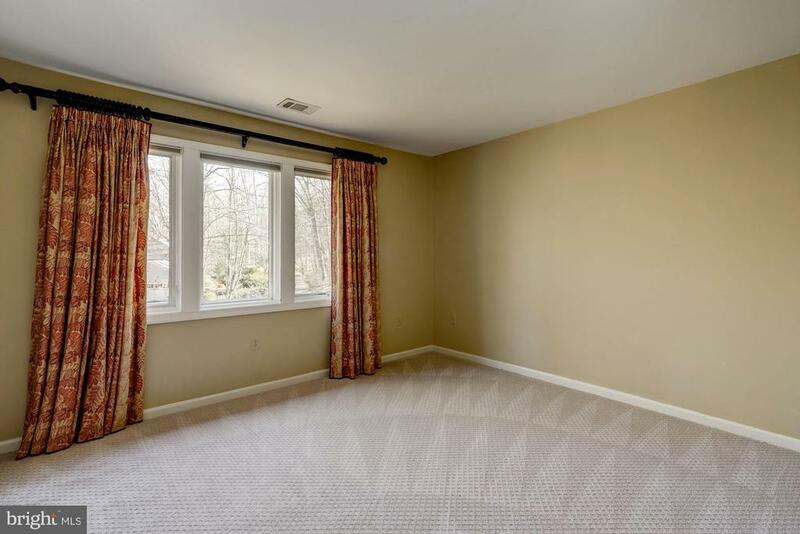 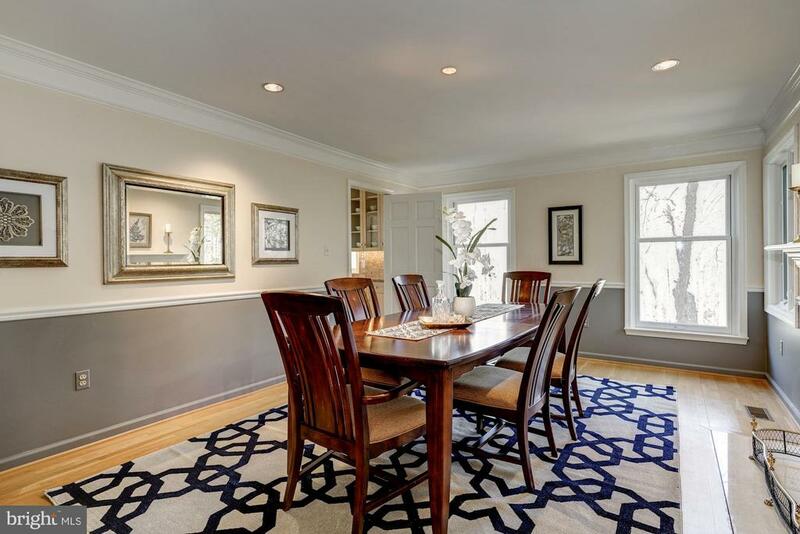 Great rm w/ adjoining kitchen fills with sunlight! 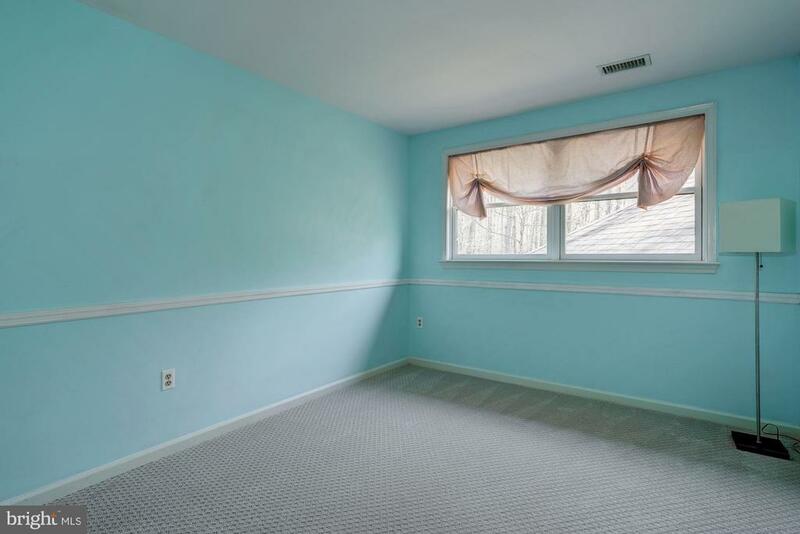 This room is right from the best of HGTV! 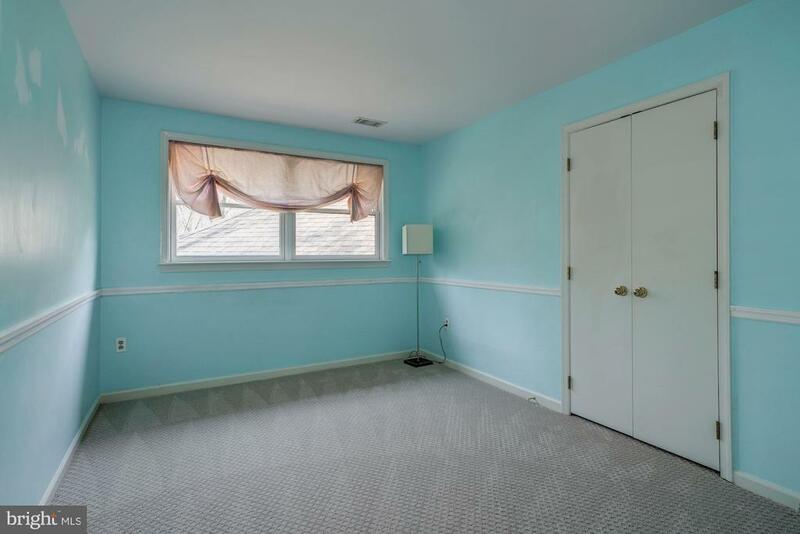 Excellent space for all those family gatherings!! 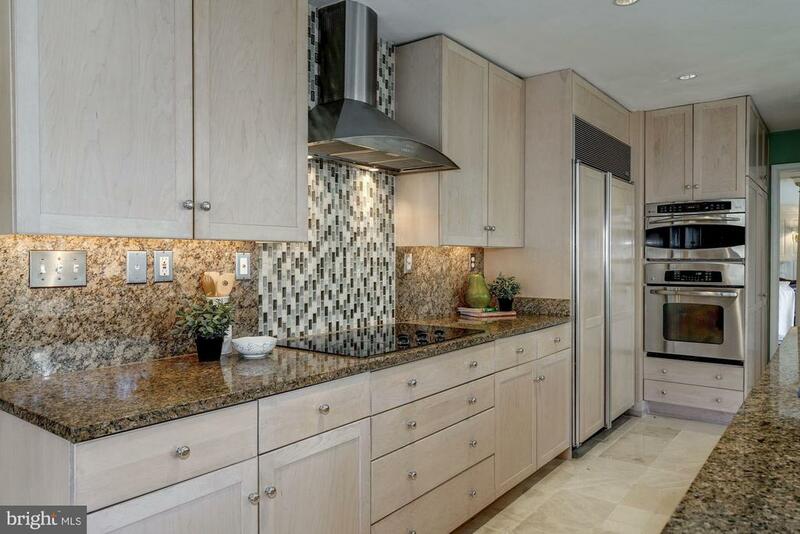 Wall oven, mircrowave, sub zero fridge & cooktop! 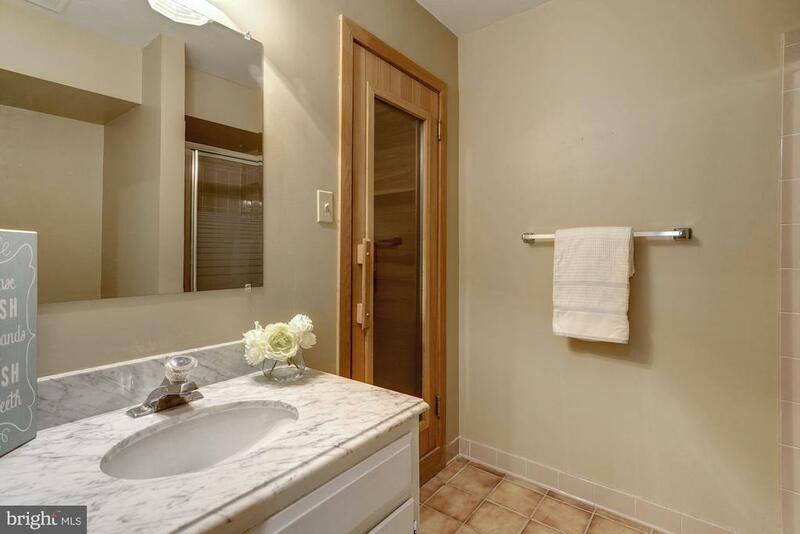 Additional sink, 2nd oven and dishwasher! 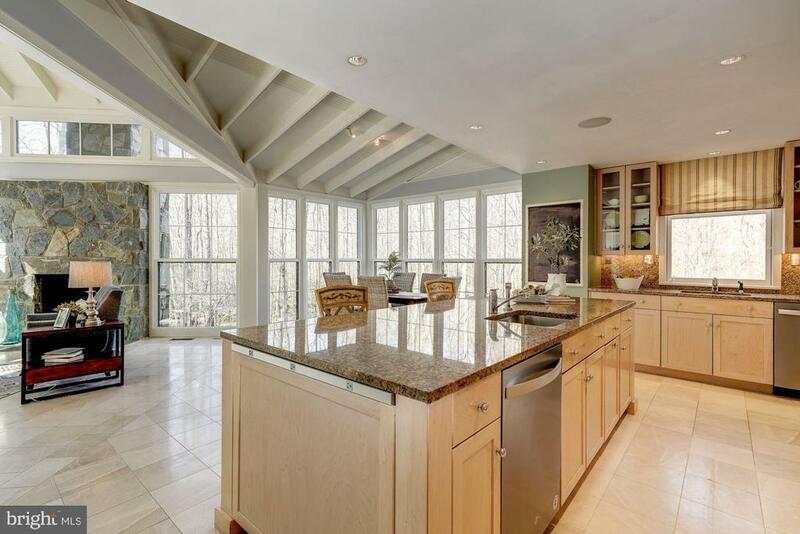 Sleak design, open concept kitchen has is all!! 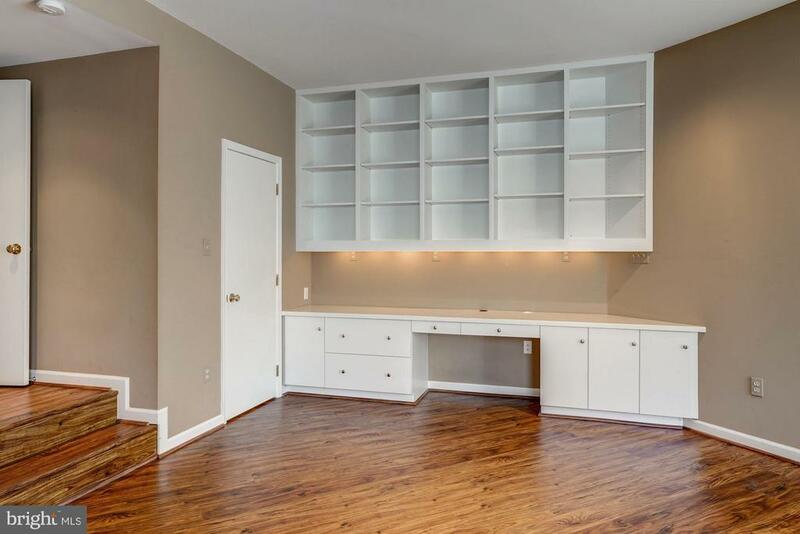 Custom master closet / dressing room !!! 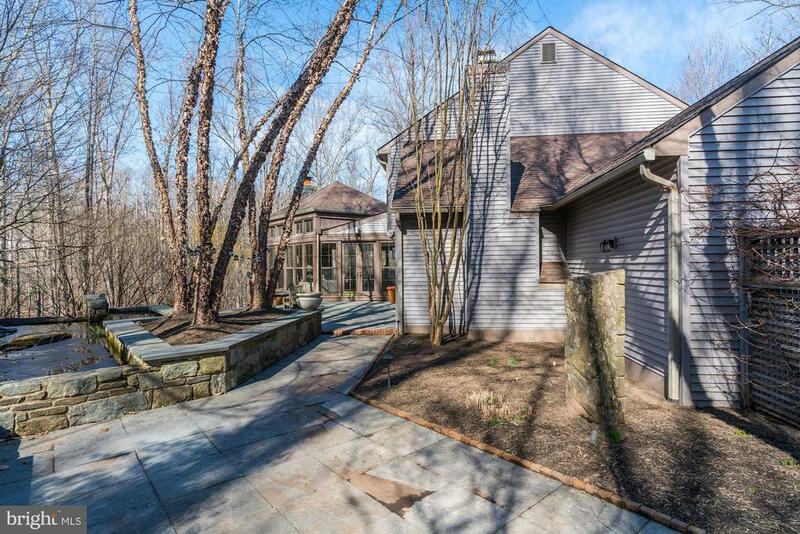 Frech doors open to the patio and private yard! 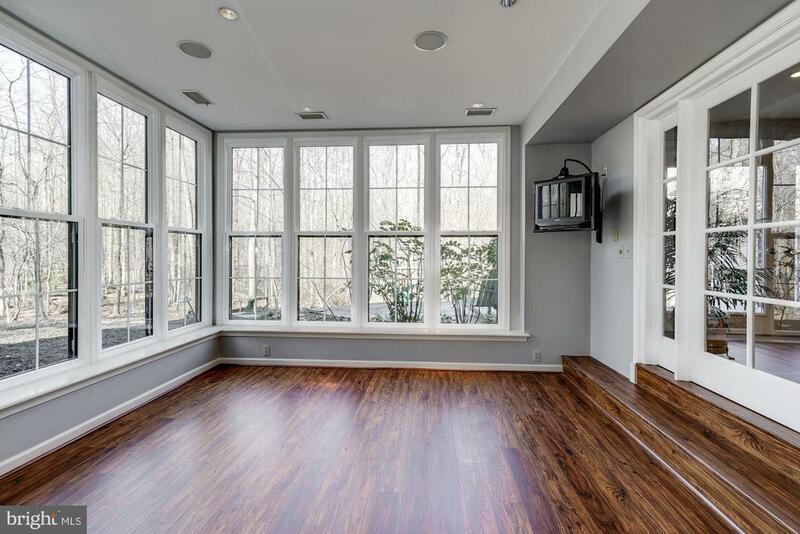 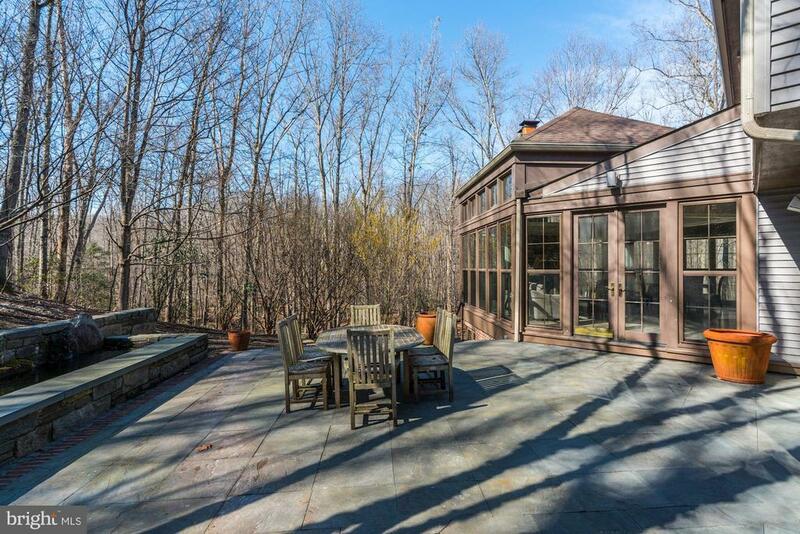 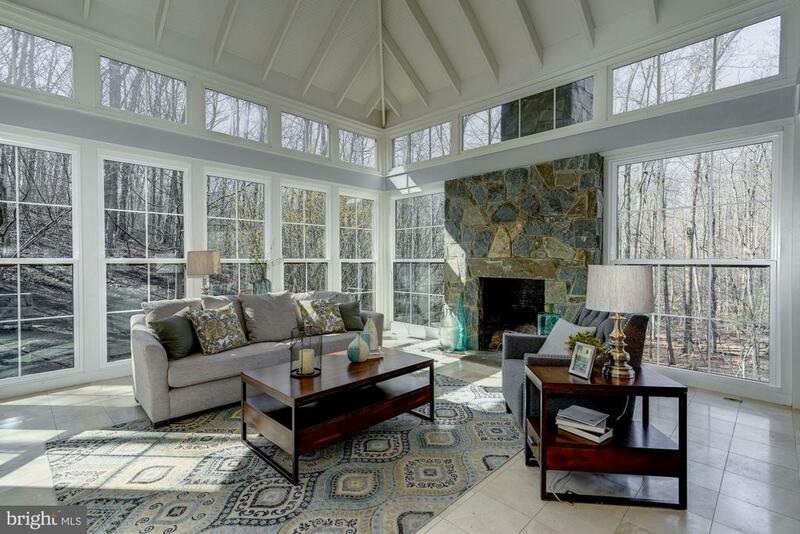 Spectacular lower level sun room!!! 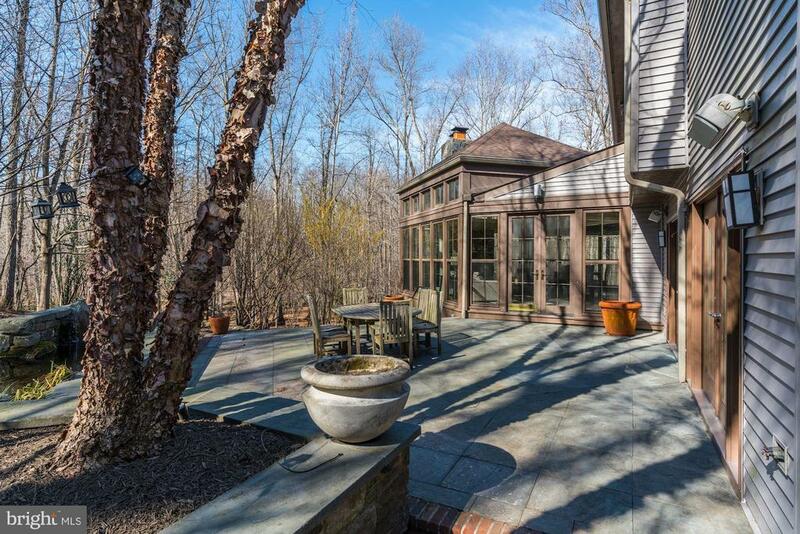 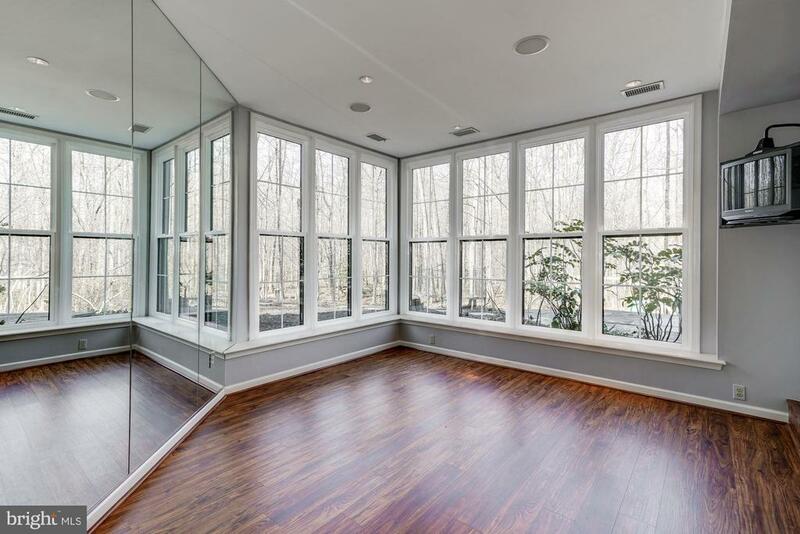 Nature lovers delight in this window covered room! 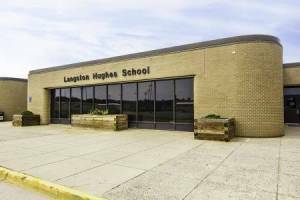 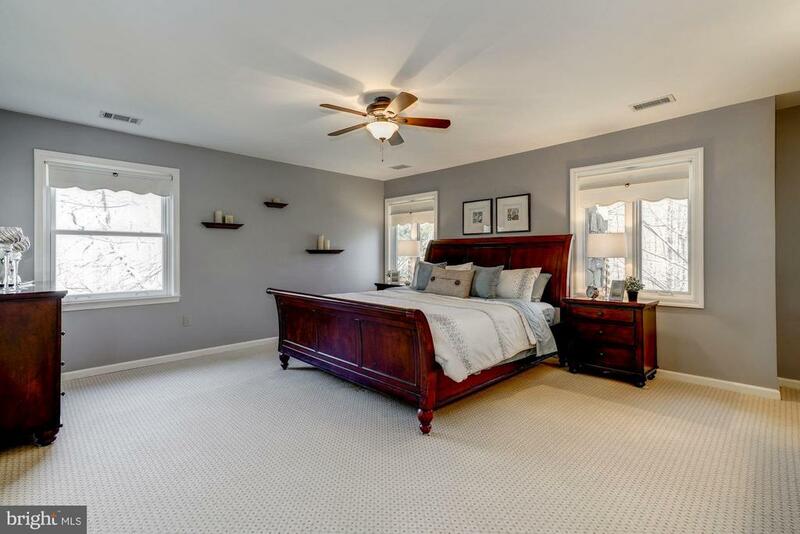 5th bedroom or office w/ wbfp & private views! 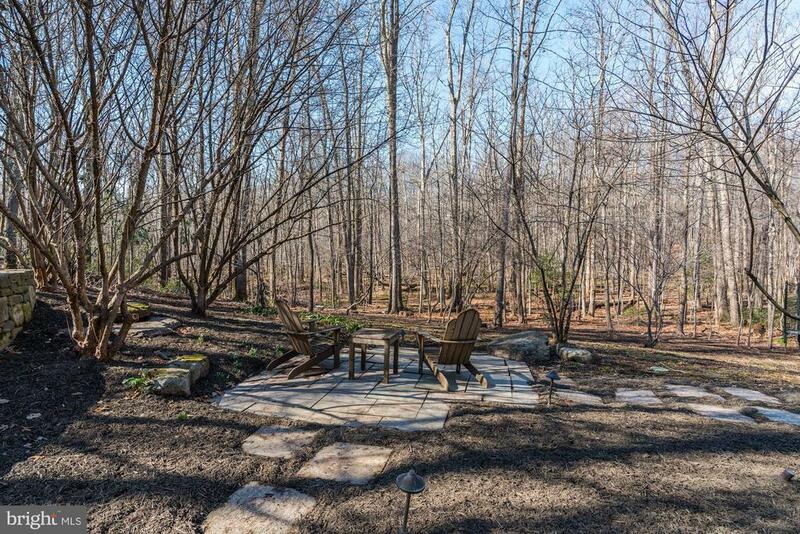 Relax & take in the views on 1 of the many patios! 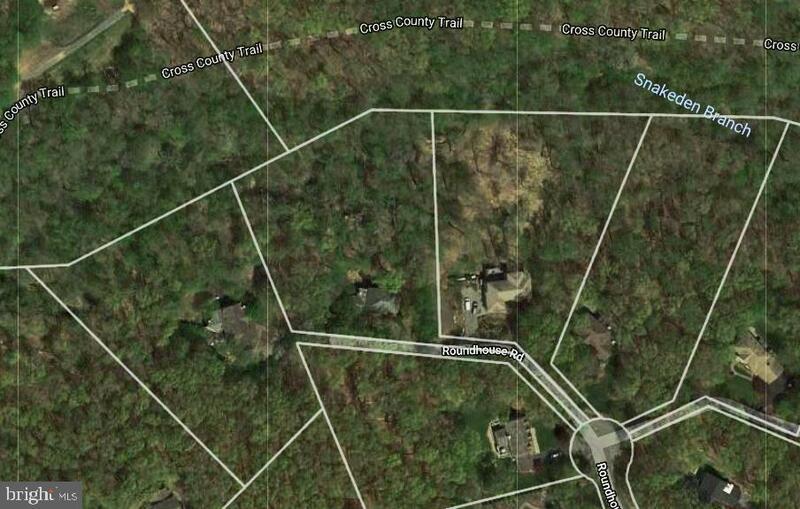 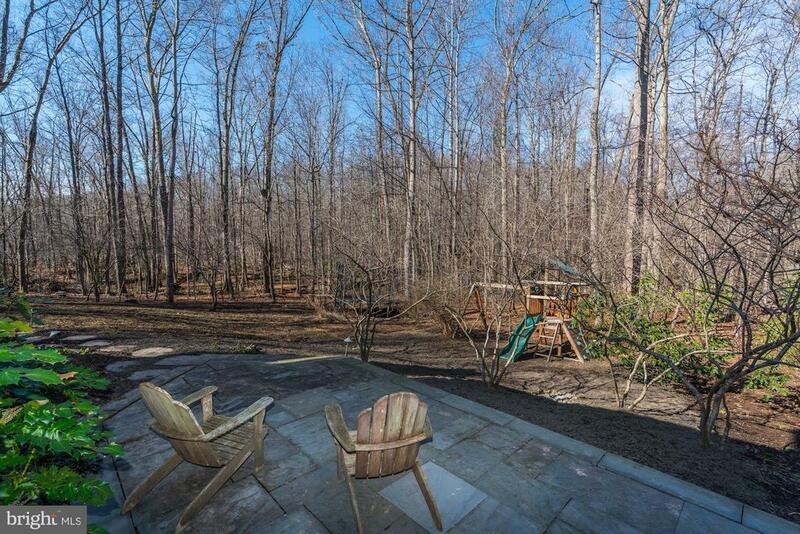 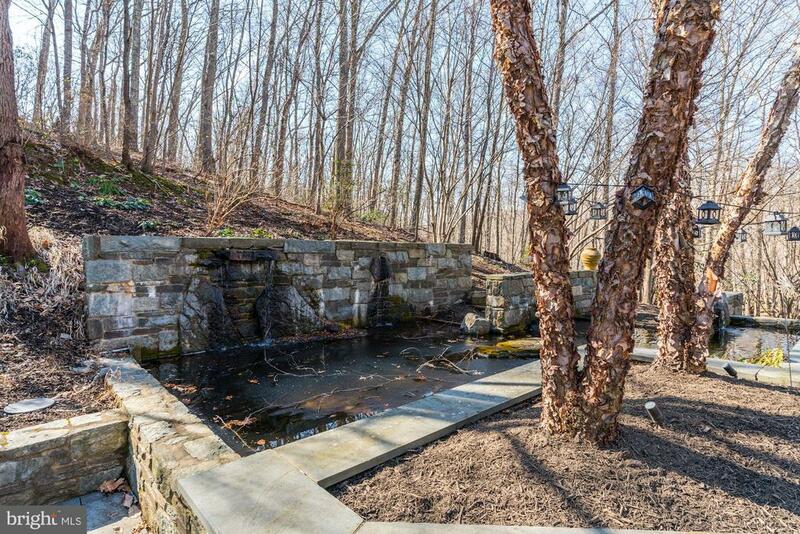 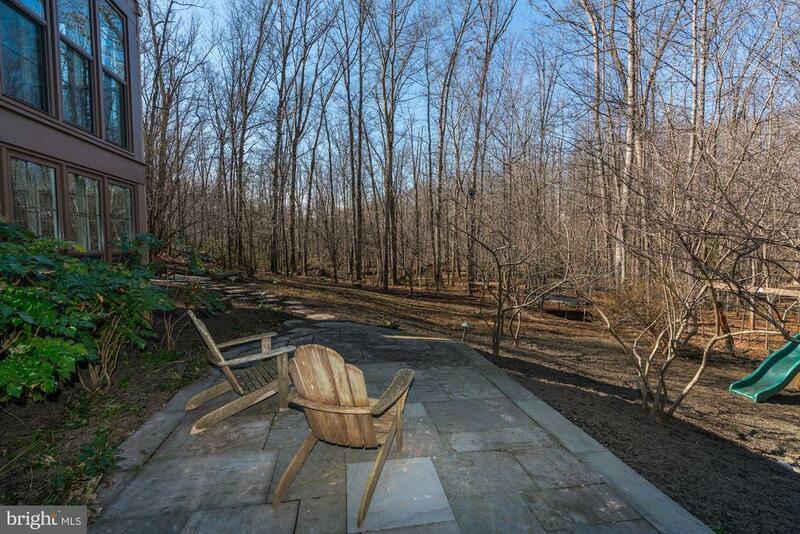 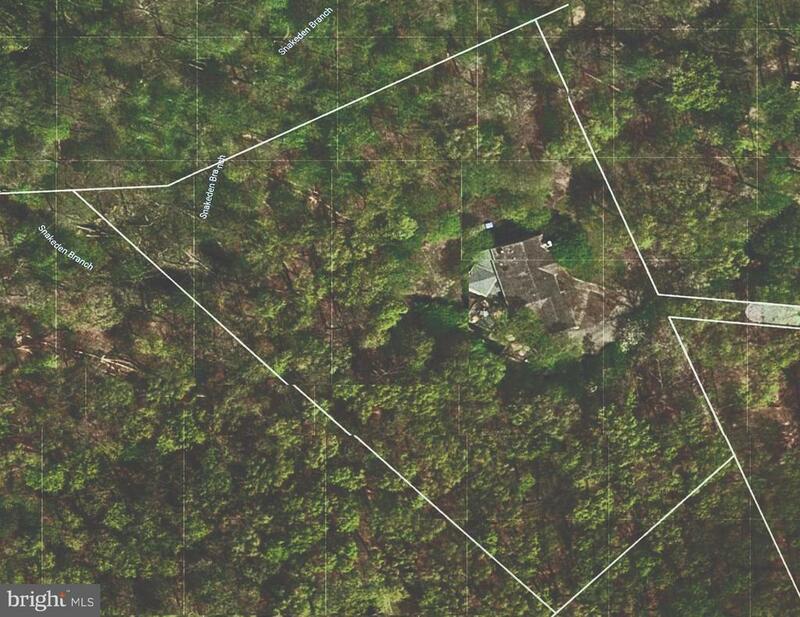 Private retreat backs to Stream Valley & Parkland! 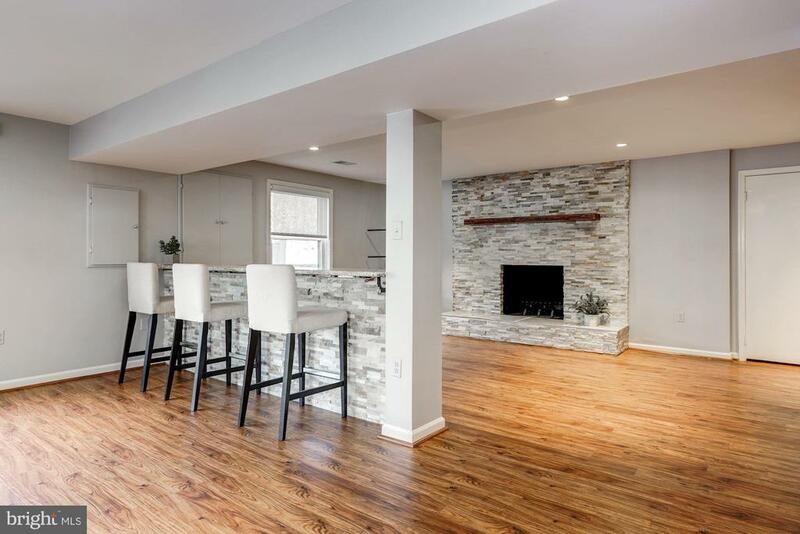 Idel setting for small or large gatherings! 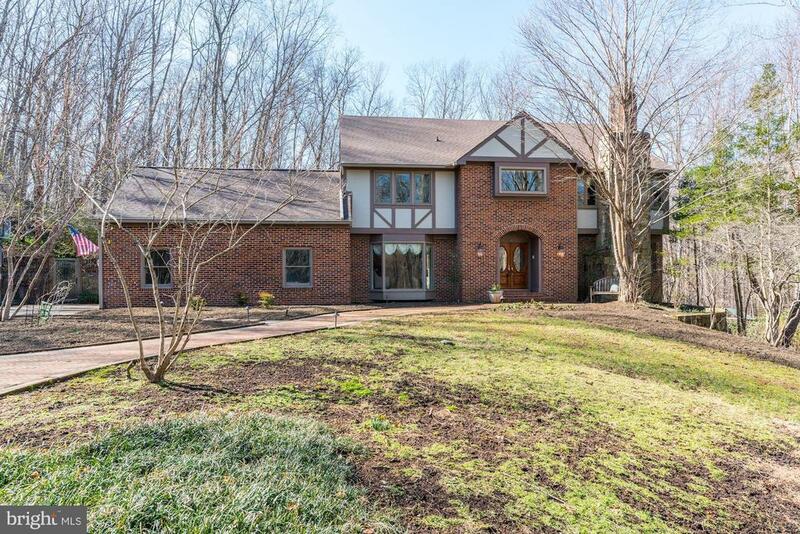 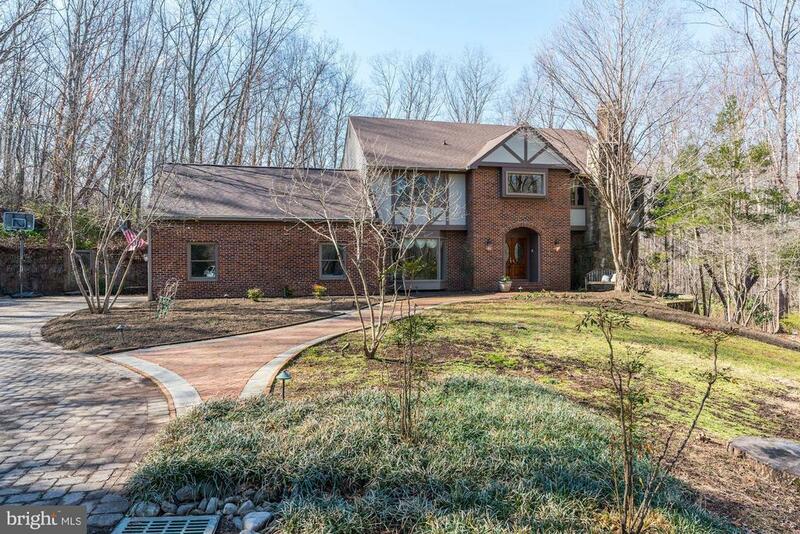 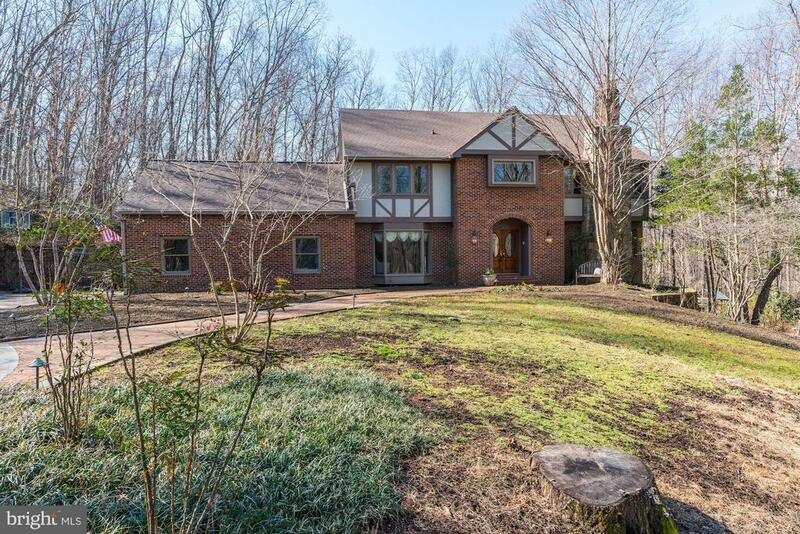 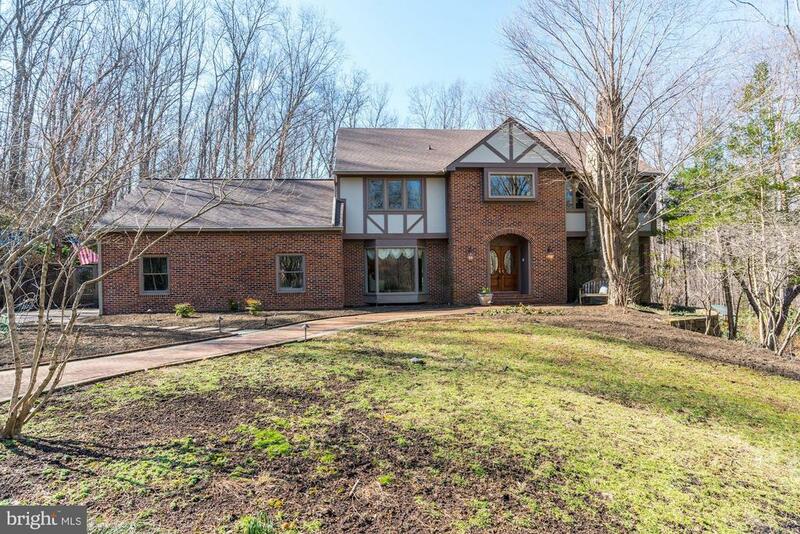 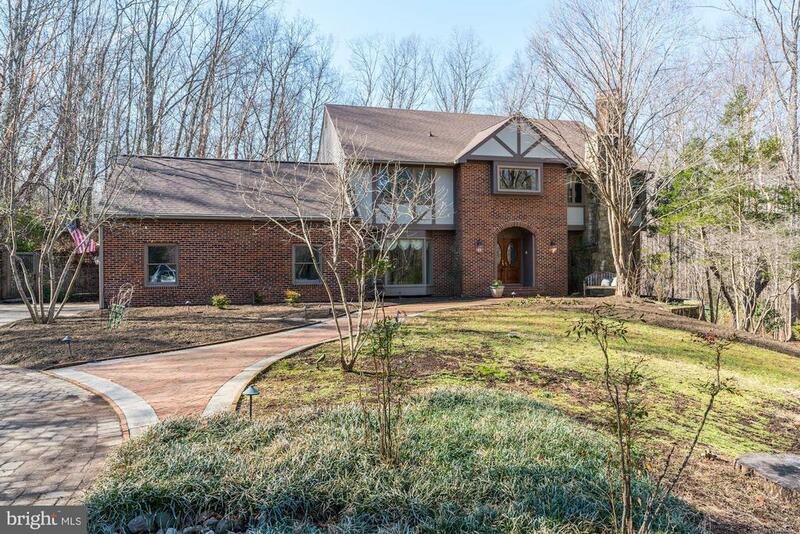 Magnificent home offering 5 bedrooms, 3.5 baths, 5 fireplaces, over 5,500 sqft of living space sitting on a 2.57 acre private lot backing to The Glade Preserve, Stream Valley & Cross Country Trial!!! 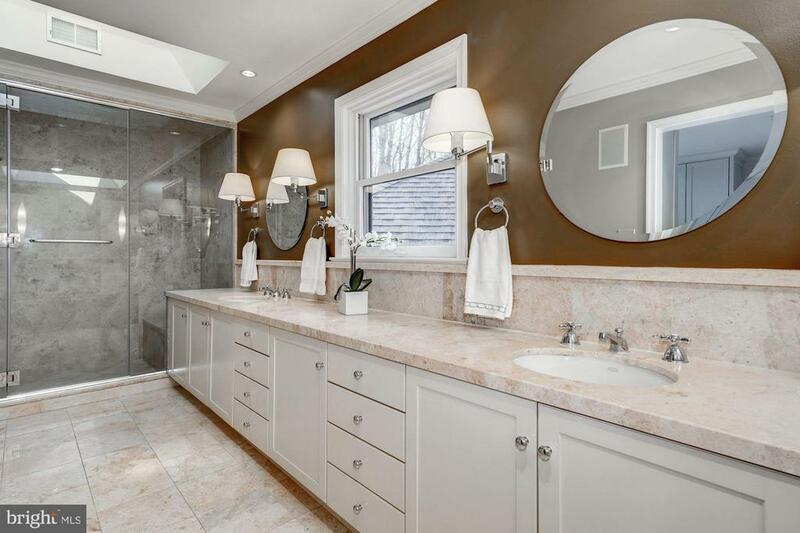 This home has been treated to incredible custom renovations and expansions allowing the home to fill with natural light and offers amazing views of the yard and parkland - all of this and a brand new roof!!! 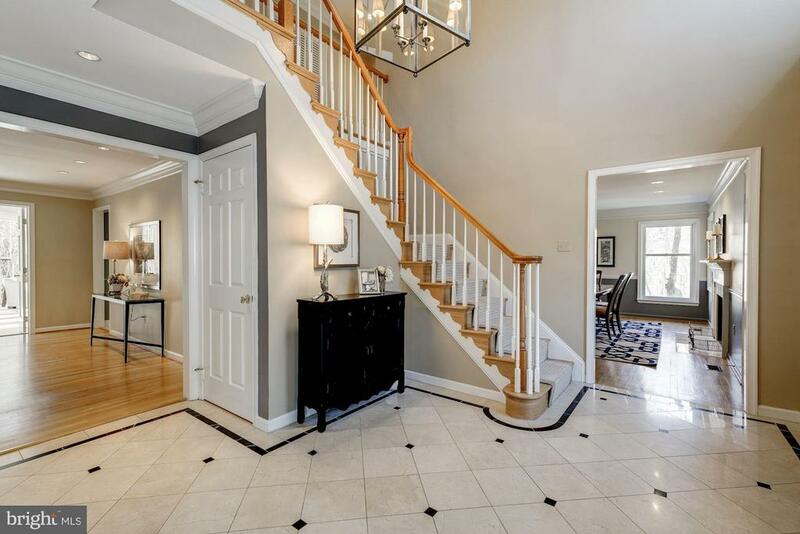 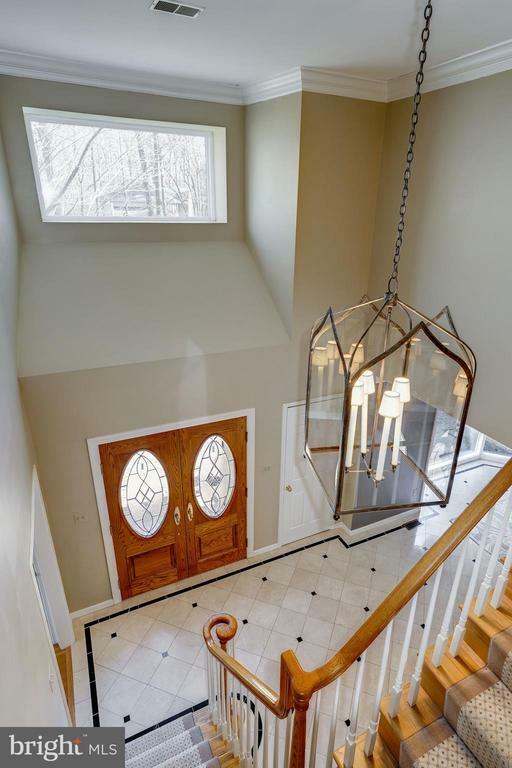 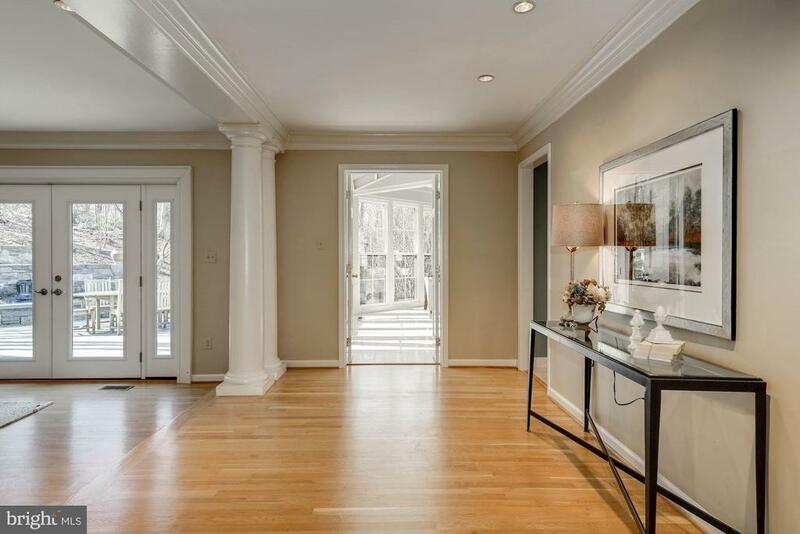 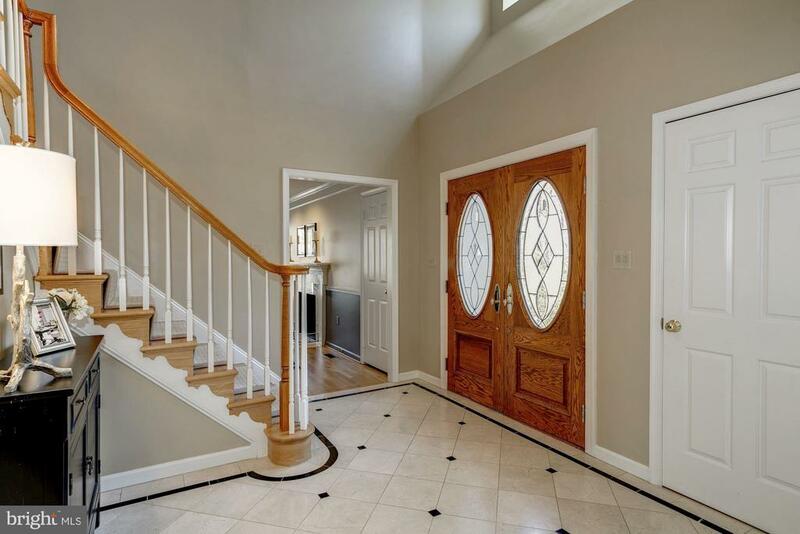 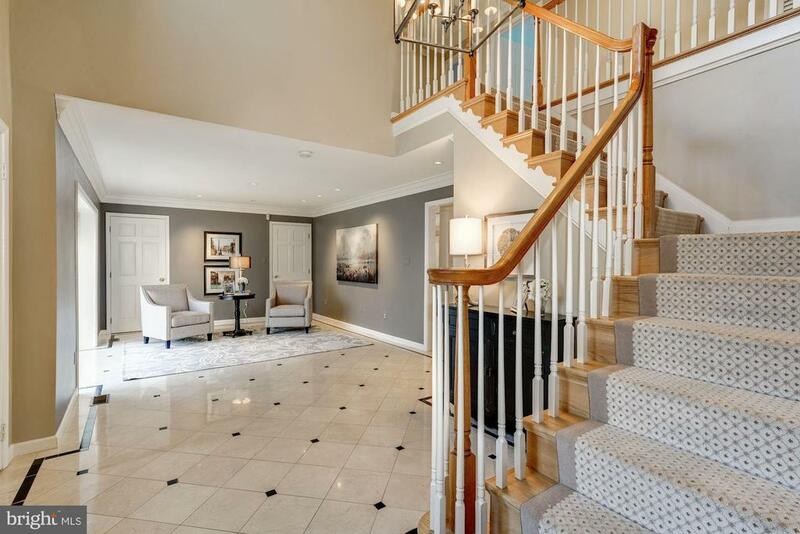 Upon entry you will find the 2-story Foyer, which opens to the Parlor/ Living Room with floor to ceiling bay window. 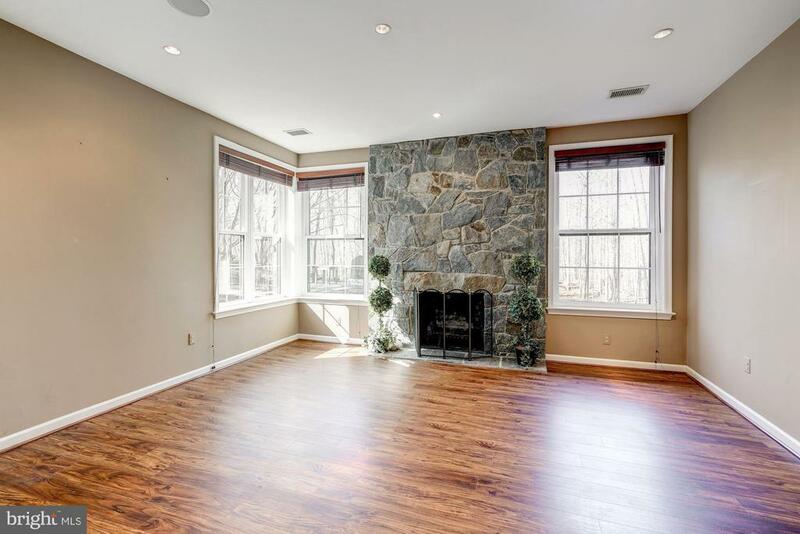 Opposite side of the foyer is the Formal Dining Room with wood burning fireplace. 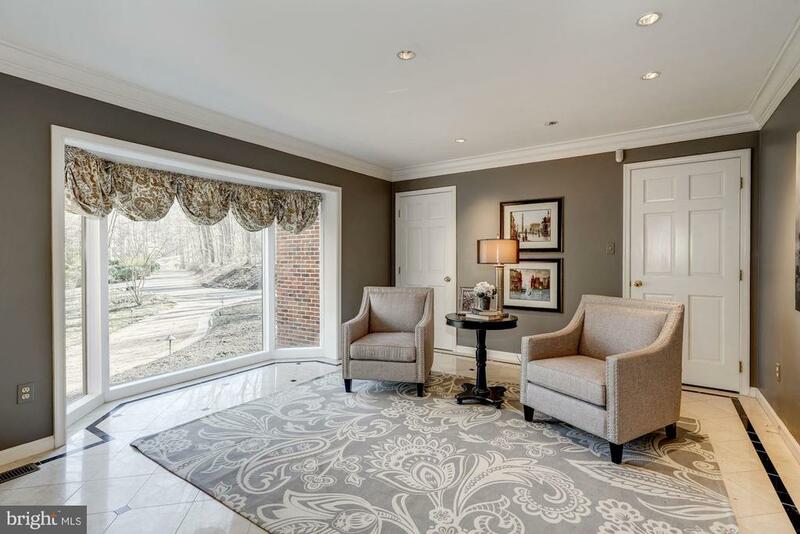 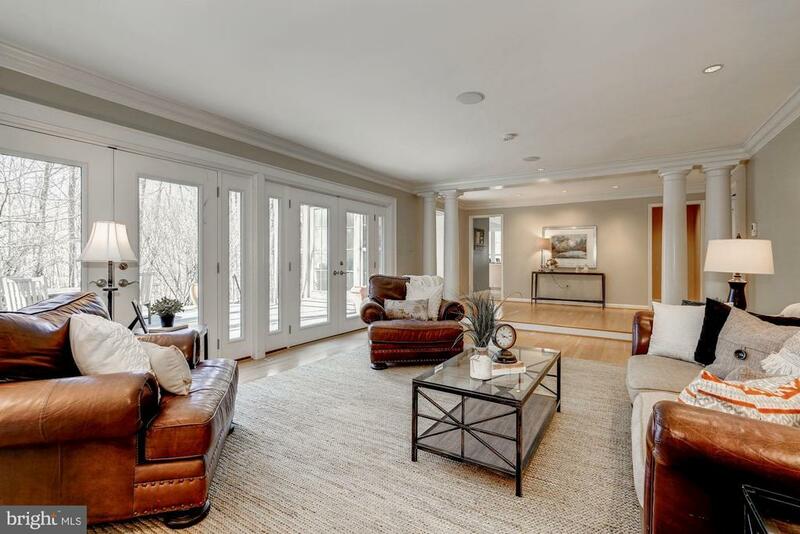 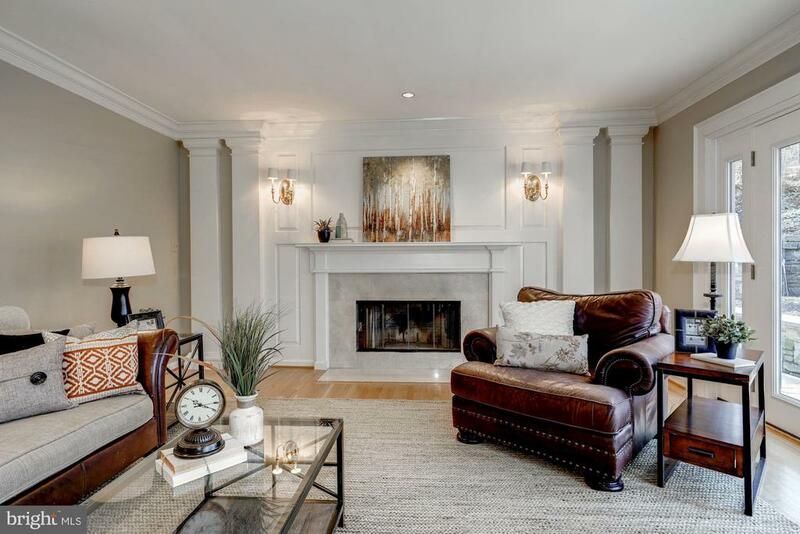 Bright & neutral Family Room features a wall of french doors & wood burning fireplace. 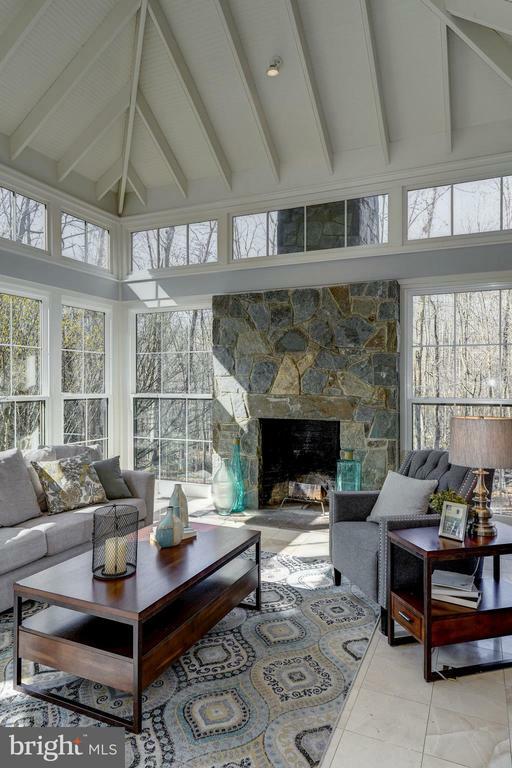 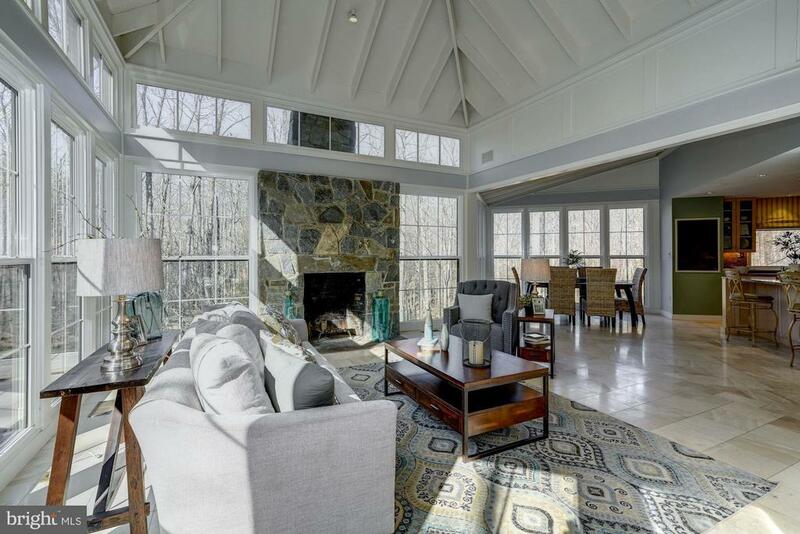 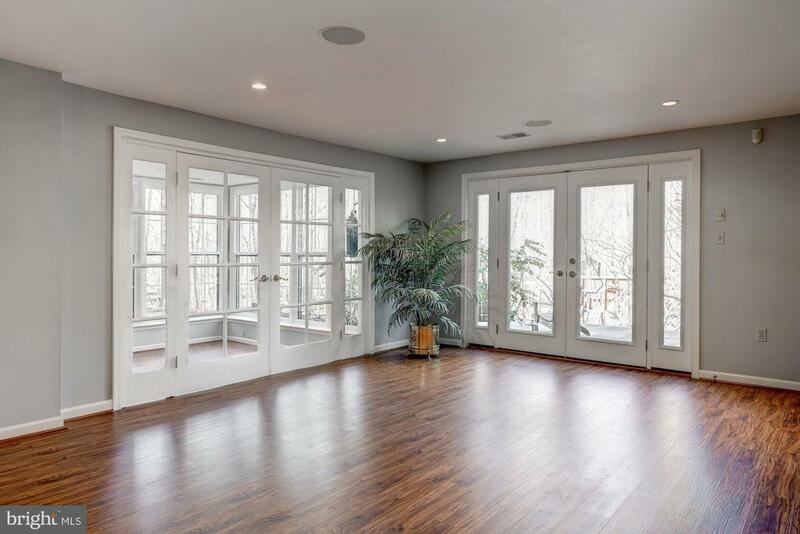 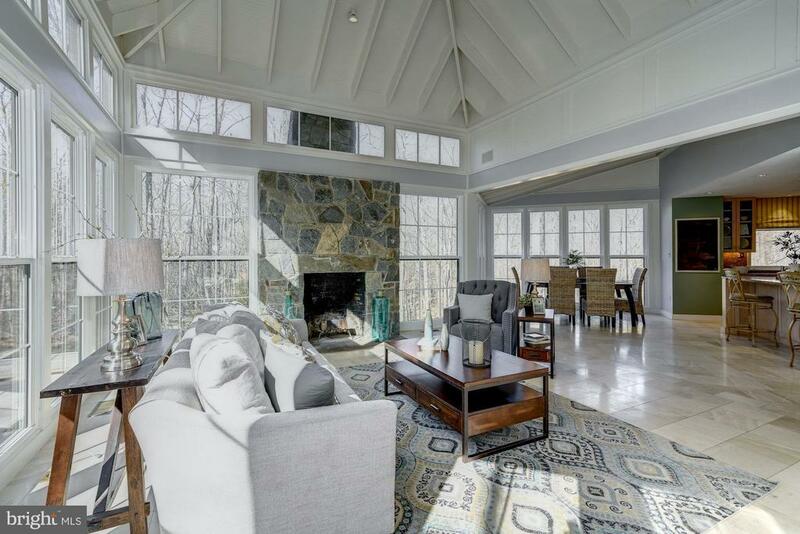 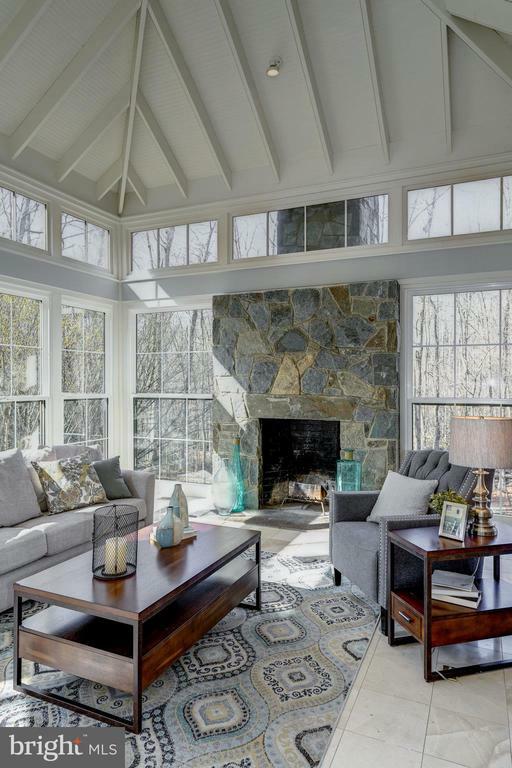 The incredible Great Room w/ vaulted wood celing, wood burning stone fireplace, walls of windows & french doors opening to the private terrace w/ pond & water fountain! 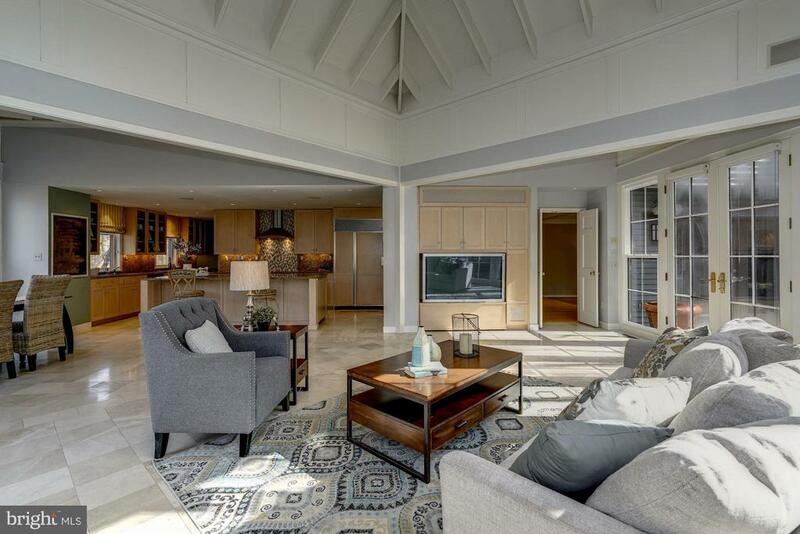 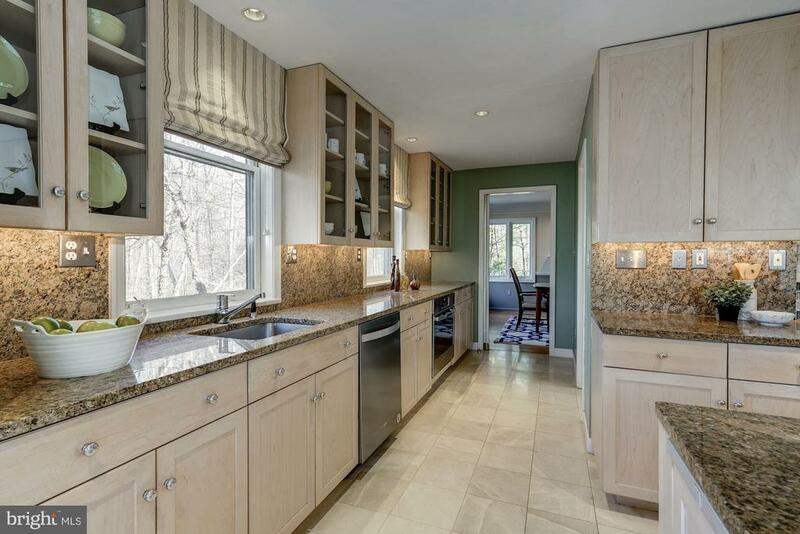 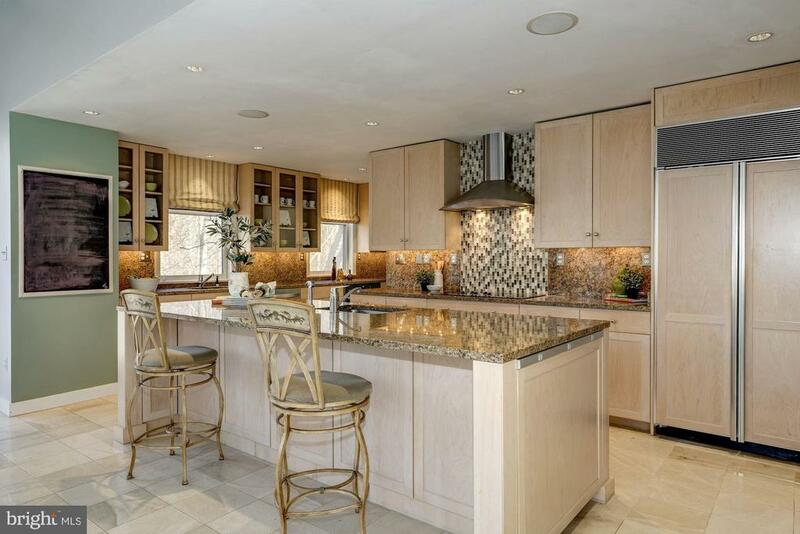 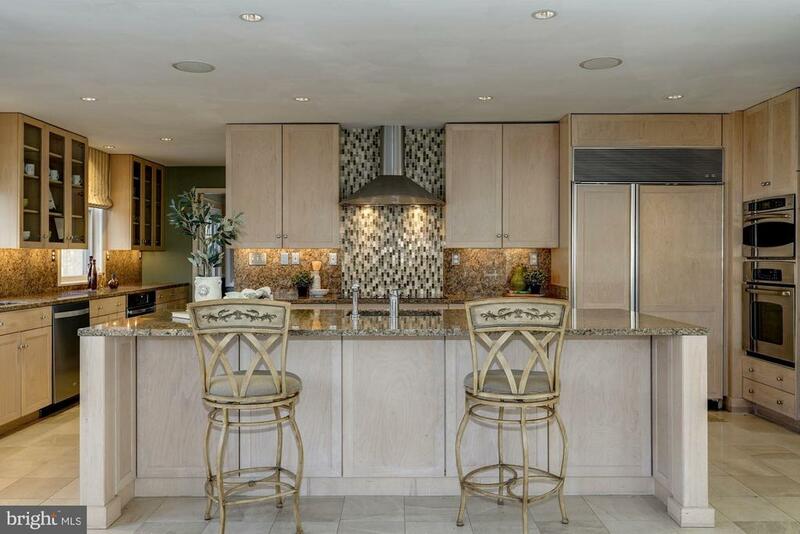 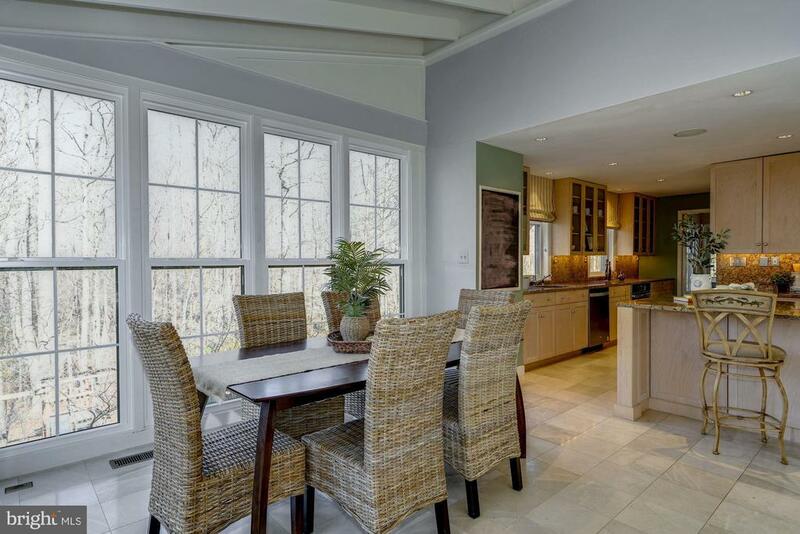 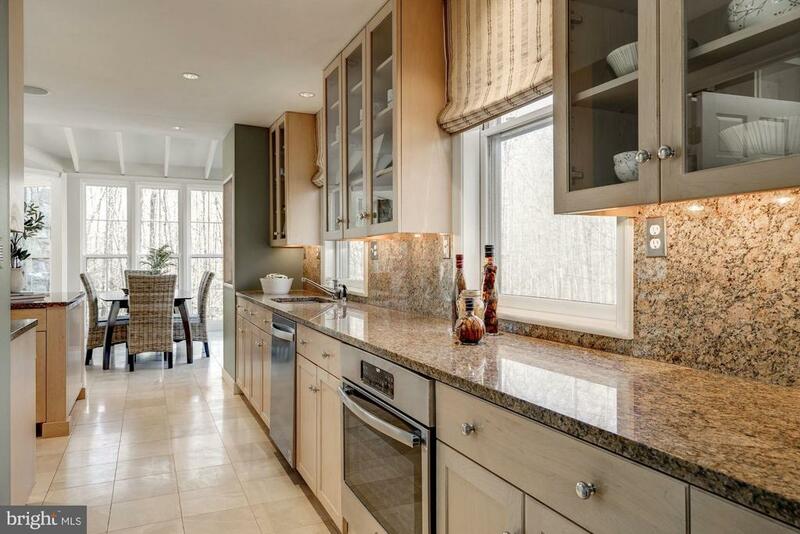 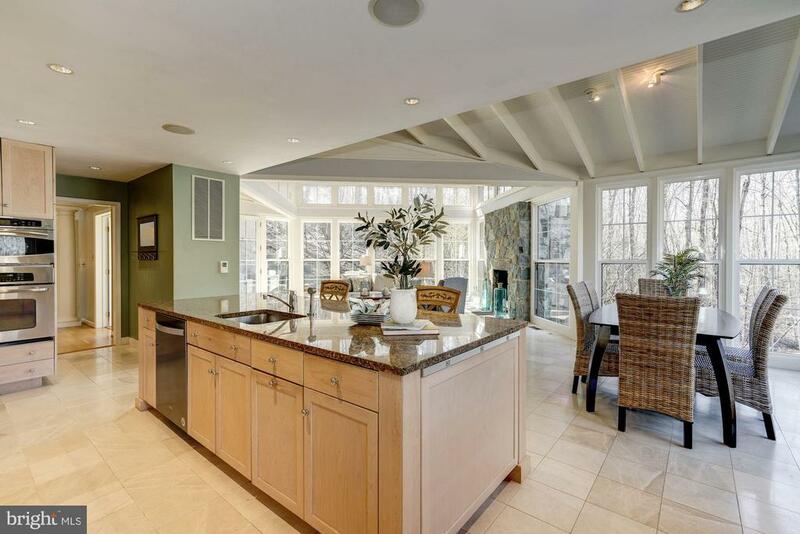 The upgraded kitchen adjoins the great room making for the perfect gathering place! 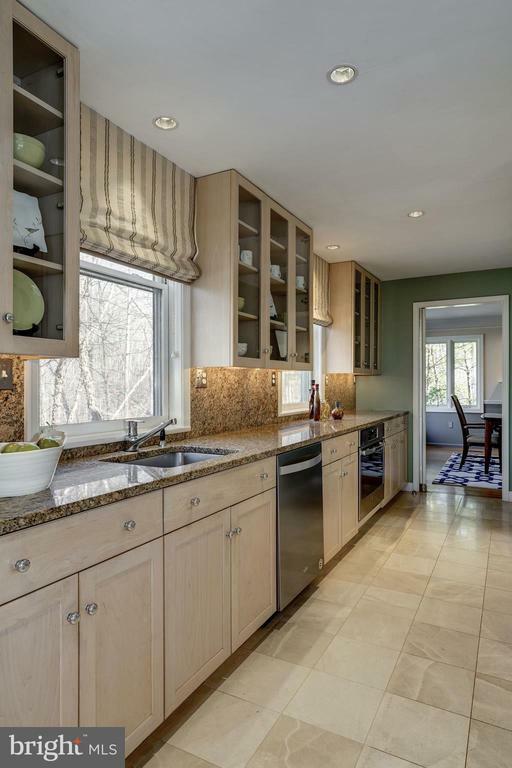 Upgraded Kitchen with center island and breakfast bar, granite counters, tons of cabinets and counter space, with 2 ovens & 2 sinks there's plenty of room for helping hands in the kitchen! 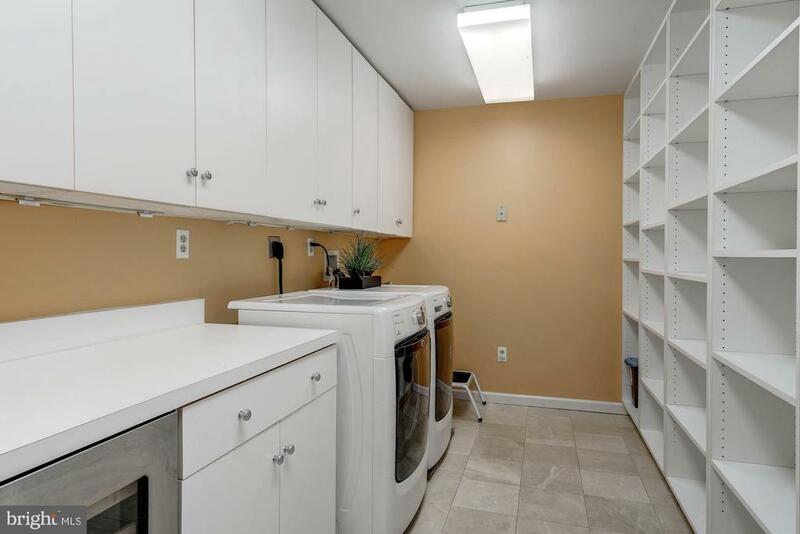 Huge laundry room w/ folding space, cabinets & built in shelves. 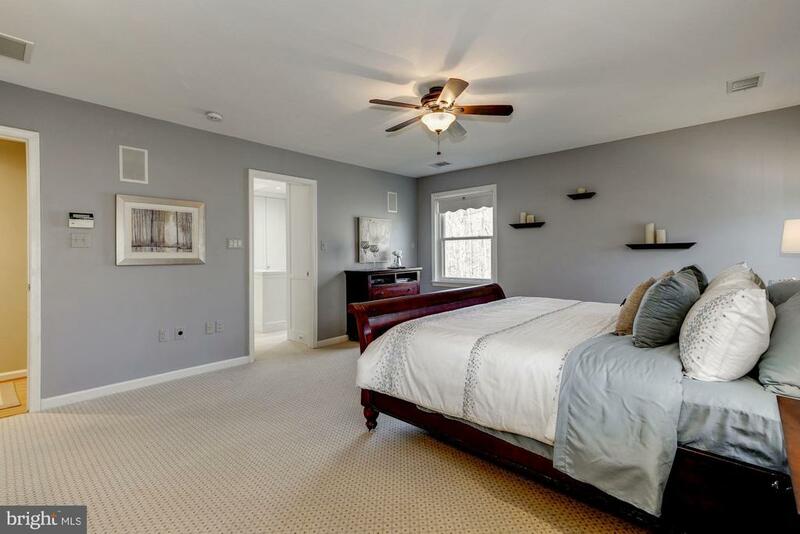 Large master suite features a custom walk-in closet / dressing room w/ built ins & skylight. 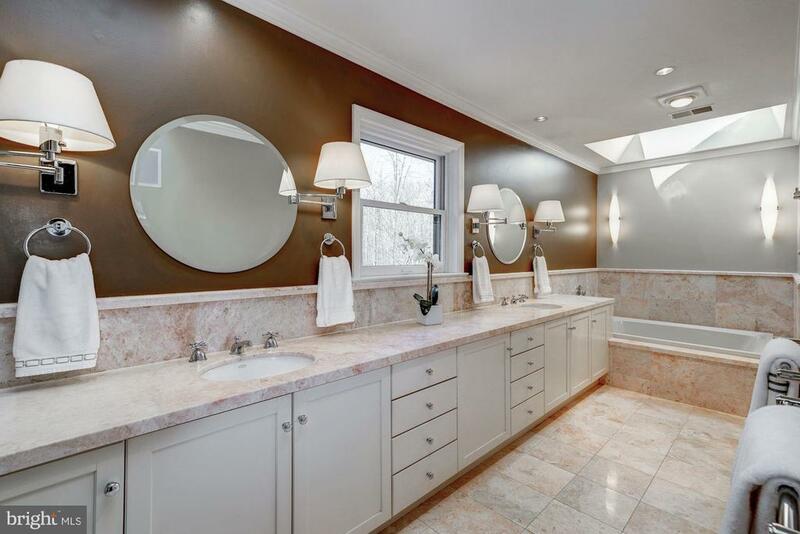 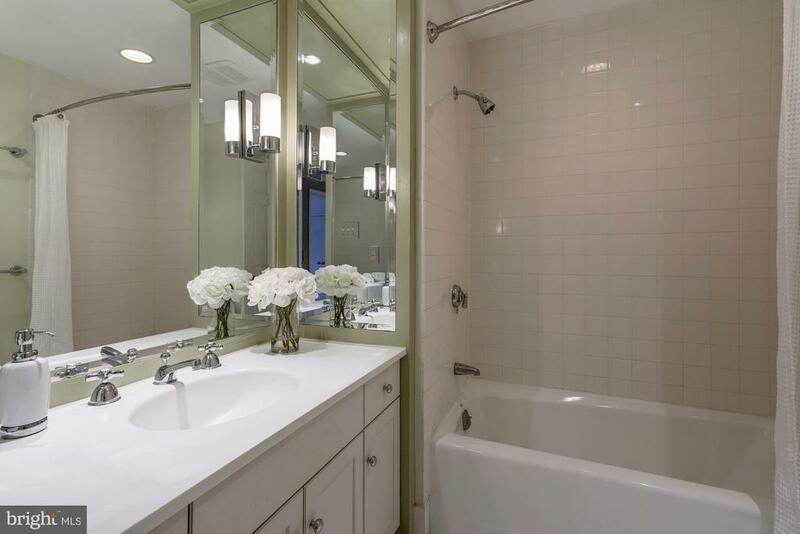 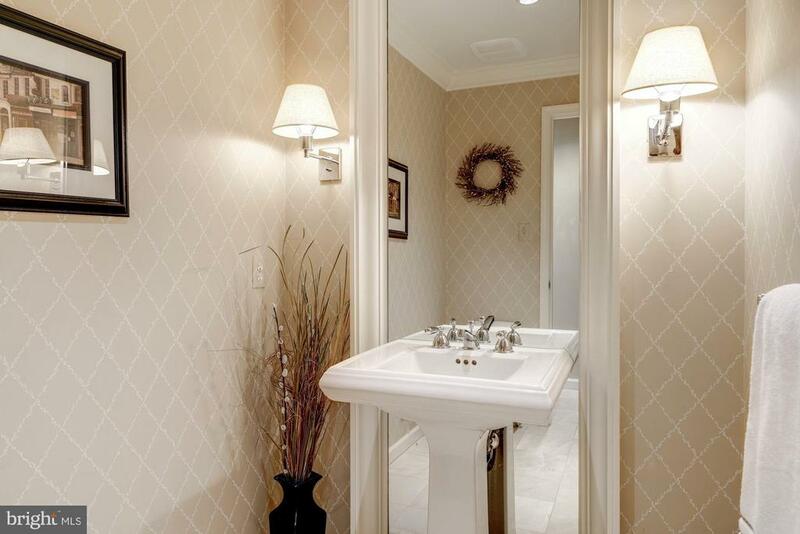 Master bath features large granite dual sink vanity, jetted tub, shower stall, water closet & skylight. 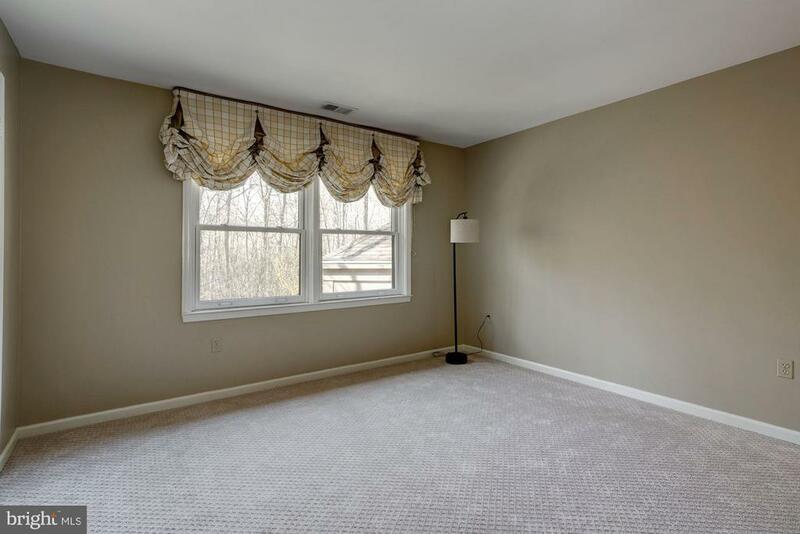 3 additional upper level bedrooms & a full hall guest bath. 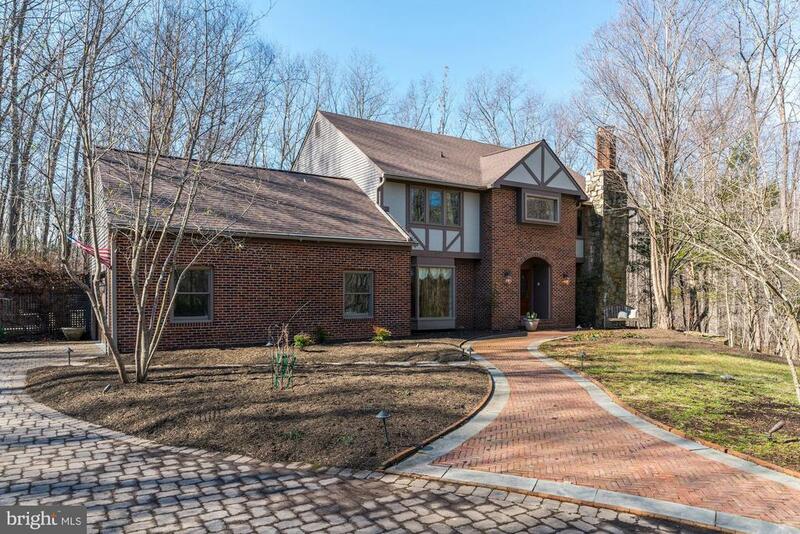 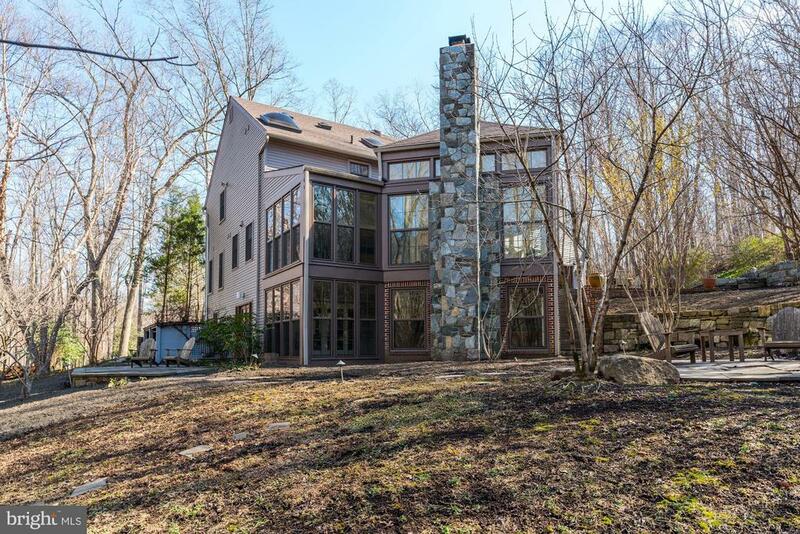 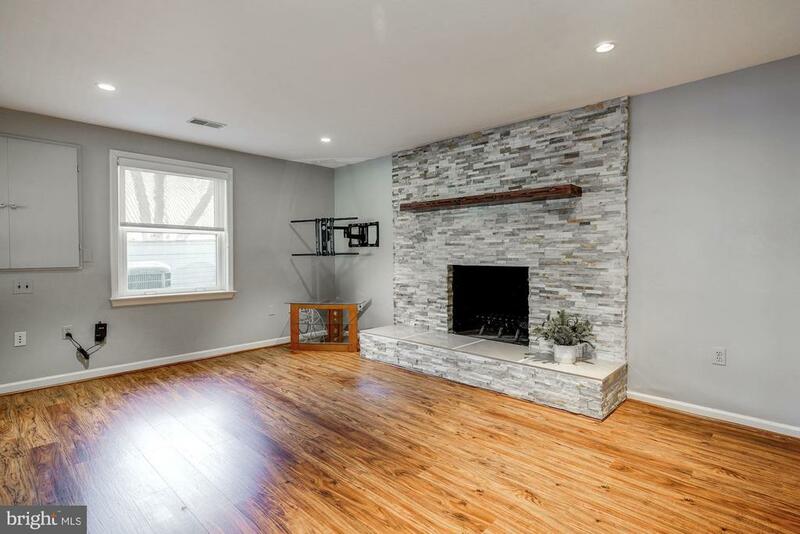 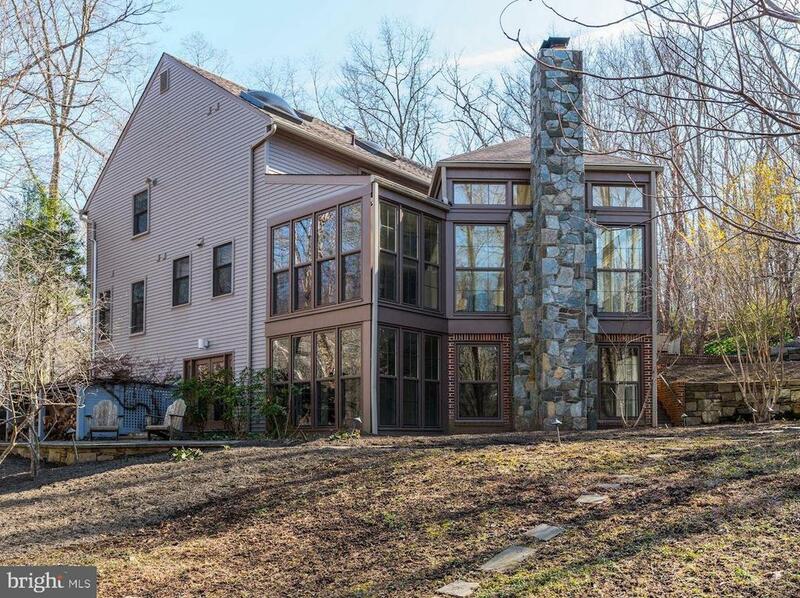 Expansive lower level walk out w/ HUGE rec room (pool table conveys) sitting area with stone hearth wood burning fireplace, spectacular lower level sun room, Office (or 5th bedroom) with fireplace and closet. 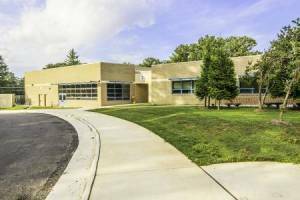 Large storage room & separate workshop. 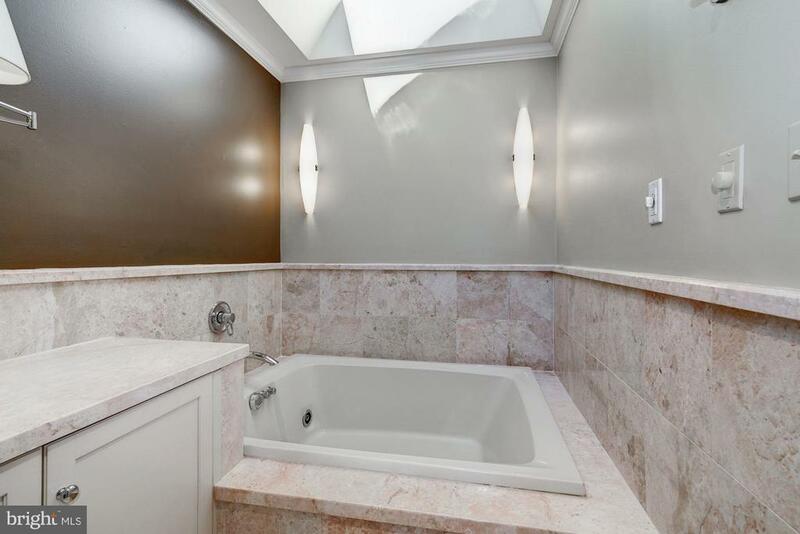 Full bath complete with a Sauna! 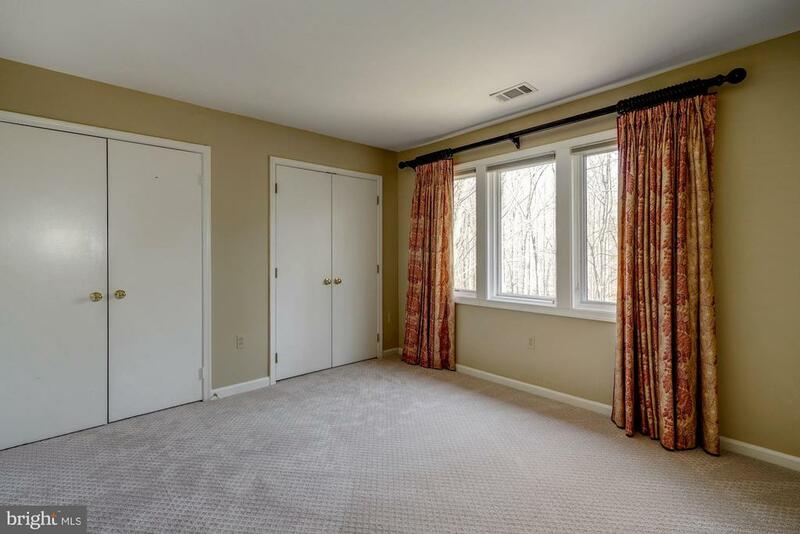 Lower level French doors open to the patio and private yard beyond. 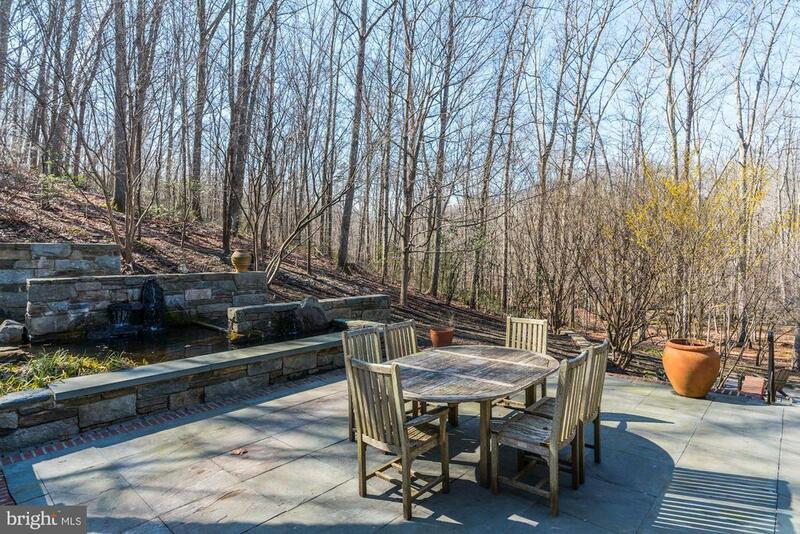 Steps lead up to the terrace with water feature and incredible views! 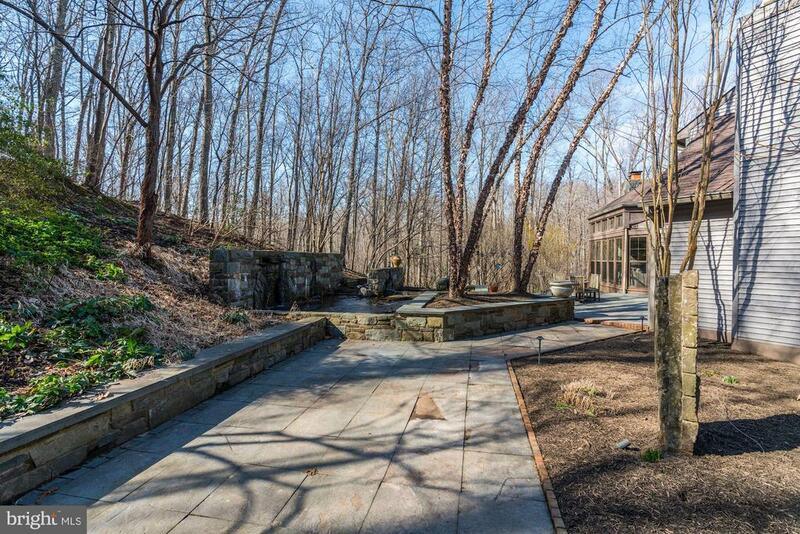 This truly is a spectacular home and private oasis!